Pat talks about how the Island Fox almost became extinct. Pat is also the President Channel Islands Park Foundation. 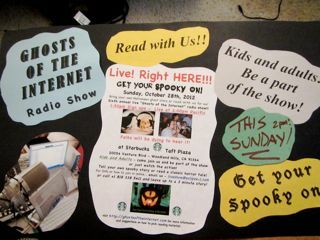 A BOO-tiful Time at Starbucks- Ghosts of the Internet 6!! A BOO-tiful Time was had by all! for Ghost - Hosting us!! We were live at 2:00pm!! October 28, 2012!! Listen or Download From Here! "Each event will include a specially produced TCM introduction featuring film historian and author Robert Osborne or TCM Weekend Daytime host Ben Mankiewicz. Osborne and Mankiewicz will take audiences behind the scenes of these American classics with exclusive interviews, historical retrospectives and unique insights into the making of these timeless classics." Sunday May 6th on your local PBS Stations. 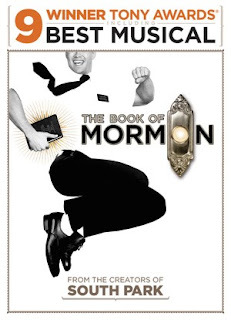 If you HAVEN'T seen the first 3 in the series, Here in Los Angeles, they are running them back to back Sunday afternoon. The First episode introducing you to this world is NECESSARY VIEWING!! OK, Honestly, they ALL ARE NECESSARY VIEWING!! !! Sherlock, the world's foremost consulting detective (Benedict Cumberbatch, War Horse, Tinker Tailor Soldier Spy), and the beleaguered Dr. John Watson (Martin Freeman, The Hobbit, The Office UK) stalk again in three thrilling new episodes. 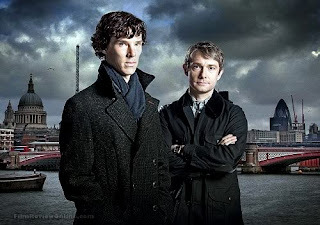 Picking up from Season 1's gripping cliffhanger, the whip-smart Irene Adler (Lara Pulver, True Blood) takes on Sherlock in a game he is ill-prepared to fight...love. Sherlock and Watson track a gigantic hound to Baskerville, where the military is conducting top-secret experiments. But whether demonic or dubious, something is stalking the moors. The crime of the century is just a prelude for the unhinged criminal mastermind, Jim Moriarty (Andrew Scott, Lennon Naked), when he poses the diabolical and inescapable "final problem" to Sherlock. Yo Yo Ma on a bathroom floor with a wombat. Really! 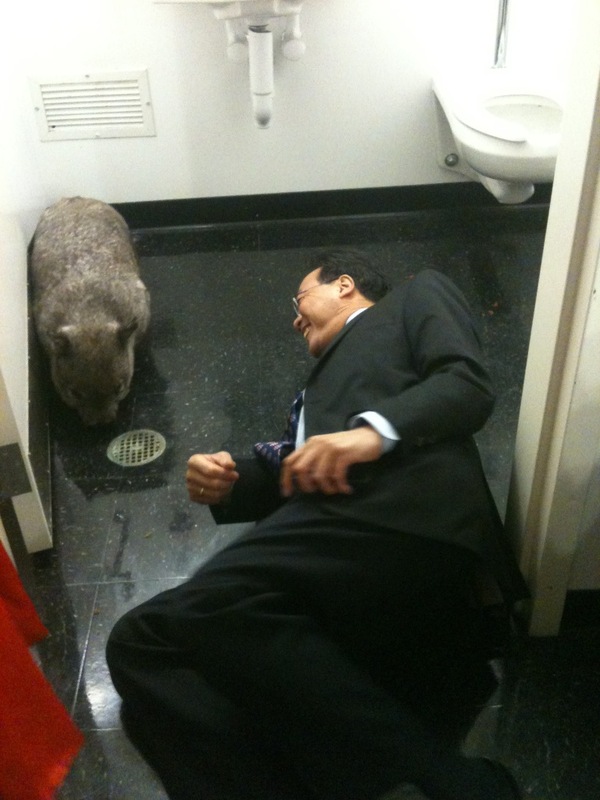 Yo Yo Ma on a bathroom floor with a wombat. TCM Presents Casablanca 70th Anniversary! In Theaters Again! 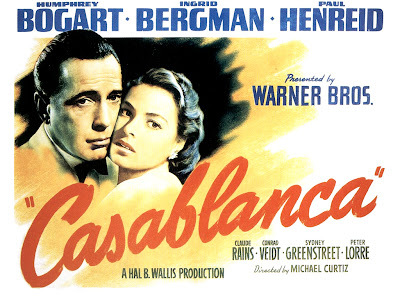 TCM Presents Casablanca 70th Anniversary! NCM Fathom, Turner Classic Movies, and Warner Bros are coming together again to present Turner Classic Movies Presents Casablanca 70th Anniversary Event in select movie theaters nationwide on Wednesday, March 21st at 7:00PM (local time). Once again, audiences will see this beautiful and timeless classic on the silver screen. Click here for a list of participating theaters.